During the rainy season of 1995, in the bustling town of Port Harcourt, Nigeria, one family's life is disrupted by the sudden disappearance of seventeen-year-old Paul Utu, beloved brother and son. As they grapple with the sudden loss of their darling boy, they embark on a painful and moving journey of immense power which changes their lives forever and shatters the fragile ecosystem of their once ordered family. Ajie, the youngest sibling, is burdened with the guilt of having seen Paul last and convinced that his vanished brother was betrayed long ago. But his search for the truth uncovers hidden family secrets and reawakens old, long forgotten ghosts as rumours of police brutality, oil shortages, and frenzied student protests serve as a backdrop to his pursuit. 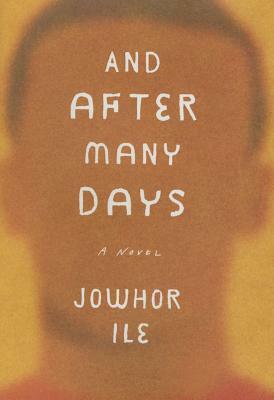 Jowhor Ile was born in 1980 and raised in Nigeria, where he currently lives. His fiction has appeared in McSweeney's Quarterly and Litro Magazine.